Vail is experencing an Epic winter and now is your chance to enjoy some great spring skiing and take advantage of a great offer. The Antlers at Vail condominium and conference center is renowned for its friendly atmosphere and has an A+ location on Gore Creek and the Vail bike path just 150 yards from the Vail Gondola, Vail ski school and numerous hiking trails. A $20 million expansion was finished just a few years ago and includes new condos / lodging units, a brand-new lobby with courtyard entrance, new conference facilities, exercise room, new pool area, business center and heated parking. 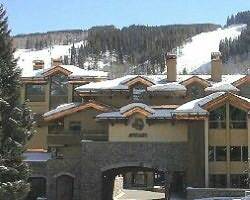 Call today and let one of our experienced sales agents plan that perfect Vail Vacation.